SFODA was registered with the Ministry of Interior through official letter No 568 ស.ជ.ណ on 15th July 1999. 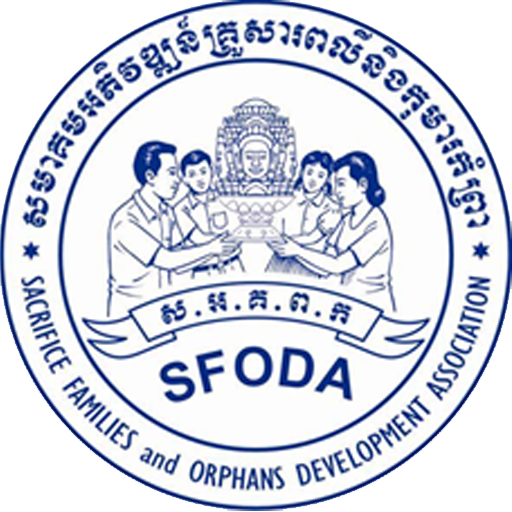 SFODA is a local NGO that has been working in Cambodia since 1997 for the interest and benefits of children and youth in difficult circumstances, their families and their community. The main target beneficiaries of SFODA are children infected and affected by HIV/AIDS, children-victims of trafficking, orphans and abandoned babies. SFODA helps the children and youth to have a better future through access to safe shelter, recreational and cultural activities, adequate formal and non-formal education, vocational training skills leading to their own business, employment, and successful family reintegration.